This winter has seen two pioneering housing estates (one in Harlow and the other in Lewisham) face imminent demolition—not by developers, but by local authorities eager to meet the Government’s ‘decent homes’ standards. As well as the loss of historic building stock, demolition would displace and disperse entire communities. Known locally as ‘the Kasbah’, the staggered set of 256 dwellings at Bishopsfield, just south of Harlow New Town, is based on the winning design submitted to an open competition held in 1961. The brief by Harlow Development Corporation sought to give architects “a freer hand to solve the old problems in new way”. The first prize went to Michael Neylan, a 24 year old graduate working for Chamberlin Powell and Bon, who quickly recruited William Ungless as his partner—the firm went on to have a great success in social housing, notably in Southwark. 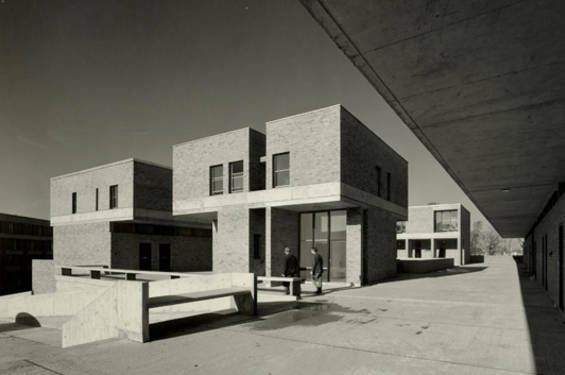 The Bishopfield Estate won a Civic Trust Award in 1968 and Housing Design Award in 1969. Widely published in the architectural press, Bishopsfield’s plans informed generations of architects, planners and students in Britain and overseas. The L-shape flats comprised between one and five bedrooms, plus living areas all arranged around a courtyard, continuing the Mediterranean atmosphere of the estate established by the narrow lanes, and giving privacy “of a kind undreamed of in the estates of developers’ semis” , as The Architect observed in 1974. The competition assessors felt that Neylan’s horseshoe plan stood out for its ‘sense of drama’, the staggered dwellings exploiting the contours of the site, set at radiating axises that allowed generous green spaces between the rows. Pedestrian routes were raised above minimal vehicle circulation and parking areas were restricted to the summit, improving views and safety across the estate. Over time, the estate’s pristine materials and precise forms have softened with age to consolidate its place in the landscape. The threat of redevelopment has been hanging over the estate for a number of years, pressure being increased by Harlow Council’s estimate of £50,000 per flat to bring the dwellings up to ‘decent homes’ standard—we think this could be achieved for much less. Recent surveys show that 92% of residents liked their homes and 82% liked the estate, despite frustrations over lack of maintenance. Yet the community feels excluded from meetings and discussion about the future of their homes, and rumours of imminent demolition abound and are very unsettling. The Council appears unwilling to recognise the historic significance of the estate, or the environmental resource implications of demolition. Bishopsfield was last considered for listing in the 1990s, when it was felt to have had too many minor alterations. However, the Society feels that these are trivial and that site and design concept, at every scale, is of such high importance and influence internationally that the estate warrants listing in its entirety. 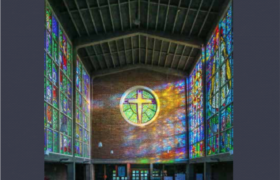 We have recommended that it be listed at Grade II. Meanwhile in London, tucked away amongst endless rows of dark brick suburban terraces, lies a little-known haven of pre-fabricated modern architecture. The Excalibur Estate was built on a public green space from 1945 and comprises nearly 200 bungalows and one pre-fabricated church, as part of the Government’s £150 million scheme to house returning soldiers and their families in over 150,000 temporary dwellings. Named after the legendary Knights of the Round Table, streets such as Mordred, Persant, Pelinore and Baudwin Roads were laid out by German and Italian prisoners of war, which must have proved quite a sight for residents of the surrounding Downham estate. The bungalows at Excalibur were manufactured by the Uni-Seco firm at a cost of around £1,020 each, adapting resin-bonded plywood and asbestos modules that had successfully been used for constructing army, air force and first aid buildings elsewhere. With a recessed entrance porch, near-flat roof and steel corner windows the Mark Two had a distinctly modern aesthetic compared to the other pre-fabricated designs with which it was exhibited at the Tate Gallery in May 1944. The Mark Three was slightly bigger with a central entrance door and hallway. Both models were used at Excalibur and both featured fitted kitchens, refrigerators, built-in storage and bedroom cupboards, and heated towel rails in bathrooms: modern conveniences that ensured instant popularity with residents for decades after their intended life expectancy. Because the estate was only intended as a temporary measure before families were moved to permanent homes elsewhere and the land reverted to open space, the plan of the site fitted in as many dwellings as possible, rather than being laid out in a garden city style on plots large enough to take permanent homes at a later date. It is therefore much denser than some prefab estates, and yet, with lanes and south-orientated gardens gently staggered to break the formal grid, the detached bungalows achieved a cottage feel. Every family was encouraged to personalise their home; the results can be seen today in mock-Tudor painted beams, over-spilling hanging baskets and immaculate gardens. The Excalibur Estate is the largest surviving group of WW2 pre-fabricated dwellings in the country, and English Heritage has recommended the listing of only 21 of the bungalows at Grade II. This grossly undervalues the significance of the plan as a whole and the group as an environment. 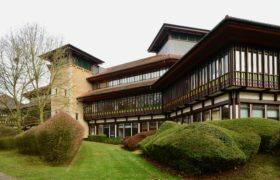 The Twentieth Century Society is pleased that English Heritage has recommended part of the Excalibur estate for listing but feels an attempt to secure the future of the whole site, ideally as a Conservation Area would be the best outcome. Despite minor alterations both the Excalibur and Bishopsfield estates retain much of the innovative internal plans and thoughtful urban layout which make them unique and significant. Though completely different, they give fascinating glimpses into domestic planning and techniques for ensuring both privacy and close community, be they temporary or with the long-term in mind. Their success can be measured in generations of contented families, long-term residents and low crime rates. Both could be sensitively updated to meet current day requirements.